The Free Application for Federal Student Aid (FAFSA) or Dream Act is used to apply for federal and state financial aid at Stanislaus State University. You can apply electronically at the FAFSA website or at the CA Dream Act website. You must include Stanislaus State's Federal School Code on the FAFSA or Dream Act application, 001157. The FAFSA or Dream Act application are available in English and Spanish. We encourage students, and parents of dependent students to obtain an FSA ID as an electronic signature for the FAFSA or a USER ID and Parent PIN for the CA Dream Act. If you do not create an electronic signature, you will need to access a printer to print out a signature page, which must be signed and mailed to the processor. If you have filed a FAFSA or CA Dream Act for the prior year, you will receive an email with instructions from the central processor for renewing your application electronically. The renewal reminder will be sent to you via e-mail if a valid e-mail address is present on your previous application record, or by a renewal reminder letter if e-mail is not possible. Applicants who receive the renewal reminder, but do not wish to renew their applications electronically, may complete the paper FAFSA or CA Dream Act application instead. Be careful not to make mistakes! Whether you are applying for the first time or doing a renewal application, please take your time and be careful not to make mistakes. A mistake now may result in lengthy delays later on. If you have been selected for verification you will need to submit all requested items listed on your myStanState “TO DO” list before we can continue processing your financial aid application. If you (or your family) have unusual circumstances, such as tuition expenses at an elementary or secondary school, unusual medical or dental expenses not covered by insurance, a family member that recently became unemployed, or changes in income or assets that affect your eligibility for financial aid, check with the Financial Aid Office. 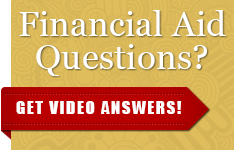 A financial aid counselor may re-evaluate your application for financial assistance. Remember to apply as early as possible after January 1. The priority deadline for filing the FAFSA and CA Dream Act is March 2 of each year. Do not wait to apply for financial aid until after you have been accepted for admission. Questions 1-3: Use your full name – as it appears on your Social Security Card (if applicable). When applying online, be sure to create an FSA ID or a USER ID to use as an electronic signature for your FAFSA or CA Dream Act or you may print out the signature page and mail it to the processor. You can apply to several schools at one time. Remember that you can only receive aid at one school at a time! If you will be an undergraduate student Fall Semester and a graduate student Spring Semester, answer the grade level questions as an undergraduate. Carefully read the instructions on the FAFSA which determine who is considered a parent, who are counted as members of the household, and who can be counted as a college student.